One of the reactors at the Oconee Nuclear Station has been shut down after a series of explosions and a fire damaged a transformed on site. The operator declared the incident “unusual” but emphasized there was no threat of radiation release. Emergency crews deployed at the scene have managed to contain the fire, and will remain at the scene to assist crews. Oconee Nuclear Station is a nuclear power plant located on Lake Keowee near Seneca, South Carolina. Officials blamed the “unusual event” on electrical equipment failure inside a transformer they say was located outside the building. Authorities urged the public stay away from the area as emergency personnel and Duke Energy staff work around the area. However they emphasized that there was no security risk that would require evacuations or traffic detours. The transformer malfunctioned and caught fire at 3:20pm local time, and the “unusual event” was upgraded to an “alert” – a second level of emergency – at 4:58pm, according to the company. Incidents falling to “alert” classification require outside interference from emergency services but pose “no threat to public safety,” the company explained. The 15-by-12 foot transformer had been burning for approximately 30 minutes before fire crews and Oconee County Fire units responded, WYFF4 reports. 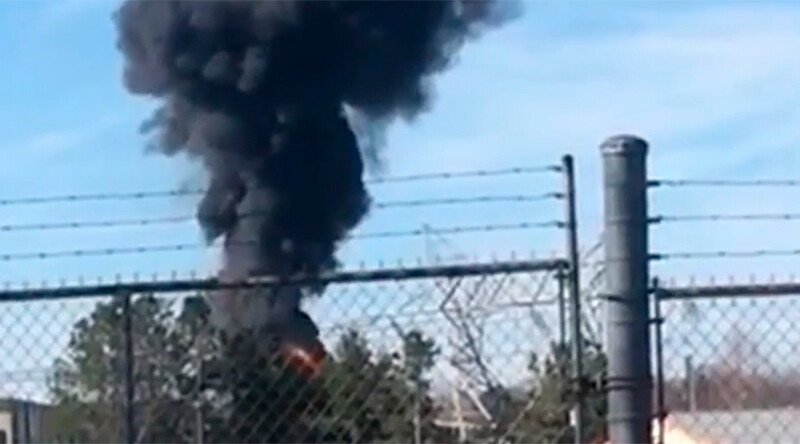 The intense flames and thick black smoke coming out of the transformer which was seen by many witnesses was reportedly due to the oil that was inside. The blaze was completely extinguished with the help of local fire brigades, and had “no impact” on plant employees or the facility’s neighbors, while customers are not expected to suffer any power outages. The operator announced it will be conducting a thorough investigation of the cause of the incident at an aging plant located on Lake Keowee that began operations in 1973. Oconee is one of the largest nuclear power plants in the US with a capacity of some 2,600 megawatts and is the second to have its operating license extended for an additional twenty years.